Congrats! 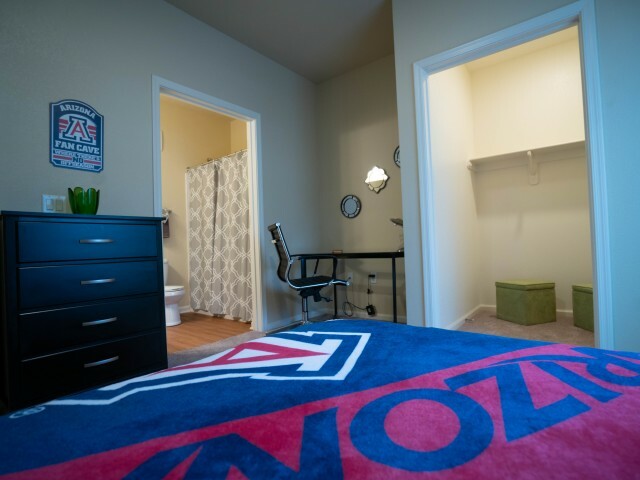 You've Discovered The Best 3-Bedroom Apartments In Tucson! Your search for 3-bedroom apartments in Tucson ends at The Junction at Iron Horse. Move-in ready apartments, luxury amenities, and a convenient location make our community one of the best in the city! Our 3-bedrooms are spacious, featuring 1,106 square feet of living space for you and your roommates. In addition to bedrooms with ensuite bathrooms and walk-in closets, our apartments have modern kitchens with built-in microwaves and dishwashers, and living rooms with 50” flat screen TVs. Each apartment also has its own full size washer and dryer— no more costly, time-consuming trips to the laundromat! Whether you like hanging indoors or outdoors, being active or relaxing, or all of the above, The Junction at Iron Horse has amenities that you’ll love! They include a lounge with pool and shuffleboard tables, a swimming pool, a 24-hour fitness center, and a hot tub. We also offer secured bike storage and access to a community garden. Our computer lab and study rooms are great places to print out a paper or catch up on schoolwork. And our prime location in the Entertainment District puts us only about a mile from UA and just feet from tons of fabulous shopping, dining, and entertainment destinations. You deserve nothing less than the most amazing 3-bedroom apartments in Tucson. 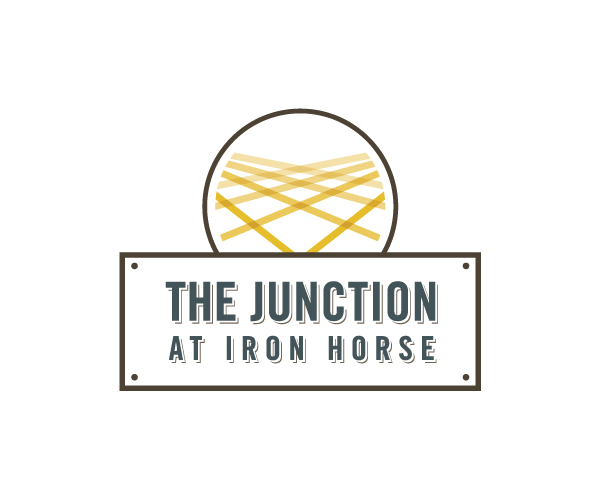 So schedule a tour of The Junction at Iron Horse today. And feel free to take a look at our photo gallery before your visit. Once you’ve seen all that we have to offer, you won’t want to live anywhere else!